Brenda Duong knows the value of hard work. 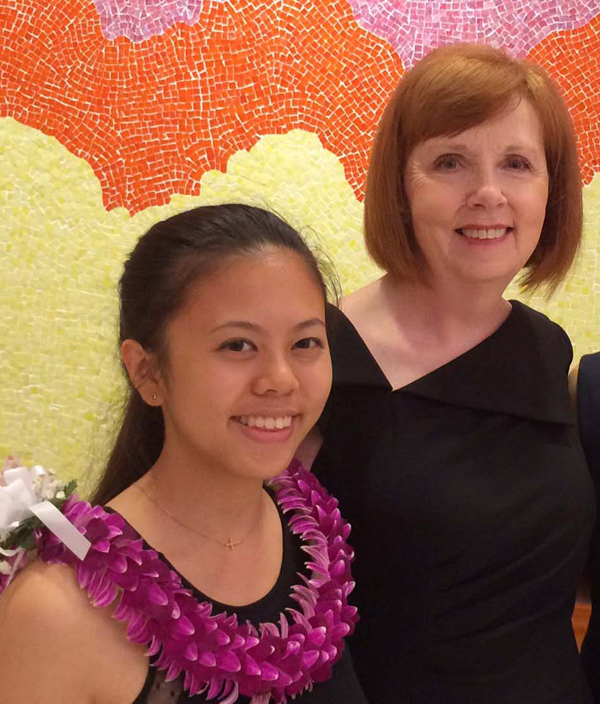 With hard-working parents as her role models, it’s not difficult to see where Brenda, this year’s $10,000 undergraduate nursing scholarship recipient, learned the value of diligence and perseverance. Since working on a high school senior project on cancer prevention and treatment, Brenda’s desire for the subject has continued to grow stronger. Her goal is to become an oncology registered nurse and eventually earn a master’s degree to become a clinical nurse specialist in advance oncology to care for patients and their families facing cancer or those at risk for cancer. “This will allow me to focus on the entire cancer continuum, from genetic screening and education on cancer prevention for those at risk to providing acute care or palliative care for those who have it,” she wrote in her application essay. 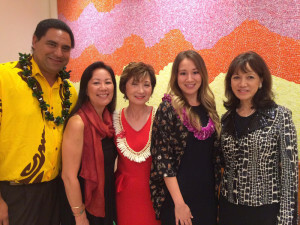 Brenda was accepted into the University of Hawaii nursing program in her sophomore year – a year earlier than most – because of her extensive volunteer experience. She recently worked on a study on reducing catheter-associated urinary tract infections in collaboration with Wahiawa General Hospital and Renmin Hospital Wuhan University in China. This past summer, she interned at the oncology unit at Tripler Army Medical Center this summer. Congratulations, Brenda! Dean and Professor, Myron B. Thompson School of Social Work, University of Hawaii at Manoa. Jennifer Chomko’s desire to make a positive difference in the lives of seniors stems from her experiences with her grandma. After her grandpa passed away, Jennifer’s grandma moved in with her family. Jennifer vividly recalls how her grandma would say, “Planny caah (car), no?! All pile up,” in her Nisei pidgin while observing the traffic when her mom would take her grandma to adult day care. Her grandma probably didn’t realize she was saying that same line multiple times every day. Her Alzheimer’s disease progressed and eventually her grandma had to move into a nursing home. While a high school student, Jennifer would go to help feed her grandma lunch to ensure she was being fed. Today she is passionate about gerontology. Jennifer received her bachelor of social work degree this past May 2014. As an undergraduate social work student, her practicum involved compiling a statewide lifespan respite inventory for the state’s Aging and Disability Resource Center. Jennifer has also assisted in the development of Hawaii’s first State Plan on Alzheimer’s Disease and Related Dementias based on interviews with those living with dementia in Hawaii. Congratulations, Jennifer! Brent Nakihei is the other MSW scholarship recipient. He has been a certified substance abuse counselor in Kaunakakai, Molokai, for the past seven years. A father and grandfather, Brent sees the great need for social work on Molokai, especially among the Native Hawaiian population. In addition to a certification as a substance abuse counselor, Brent also received certification as an international certified alcohol and drug counselor and a criminal justice professional. Brent is personally acquainted with the challenges of substance abuse, and this experience and his motivation to help others drive him forward. “Brent is one of the best examples of success as he himself came out of a life of substance abuse and since then made a determination to not just better himself but also to show others that no matter what is in their past, they can reach and fulfill their dreams,” wrote Pastor Robert Sahagun, of King’s Chapel Molokai, who has known Brent for more than 10 years. Congratulations, Brent!